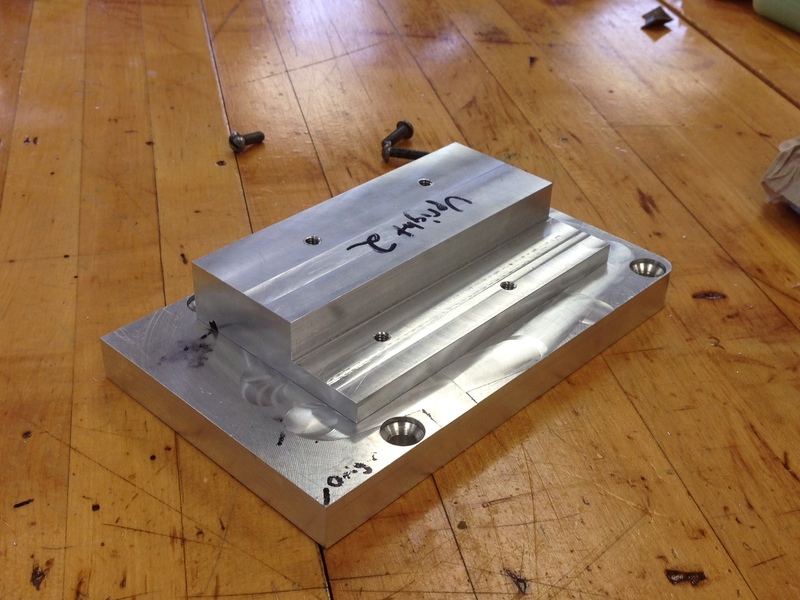 This past weekend, a few of us on the Formula Team went to create the rear uprights for the car at Packard. 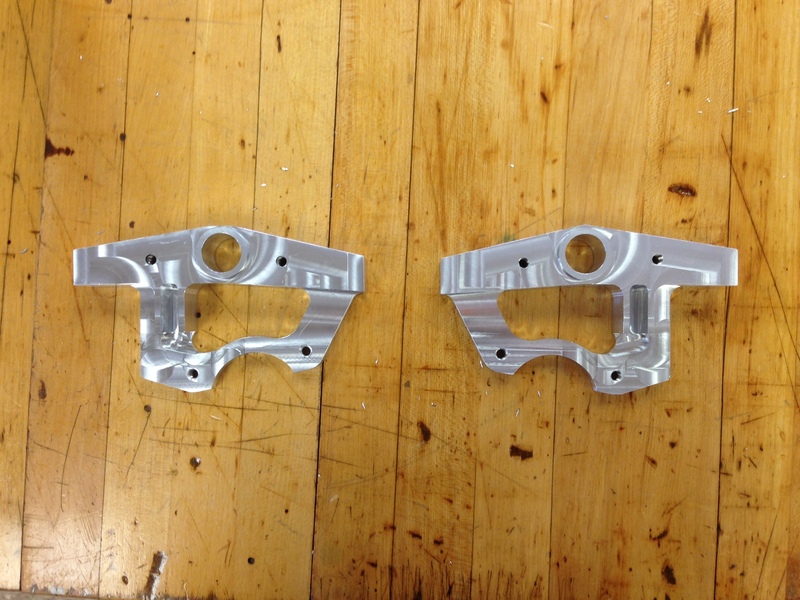 This piece of aluminum here was to be cut into the desired shape that we wanted using what is called CNC (computer numerical control) with a Haas Vertical Machine. 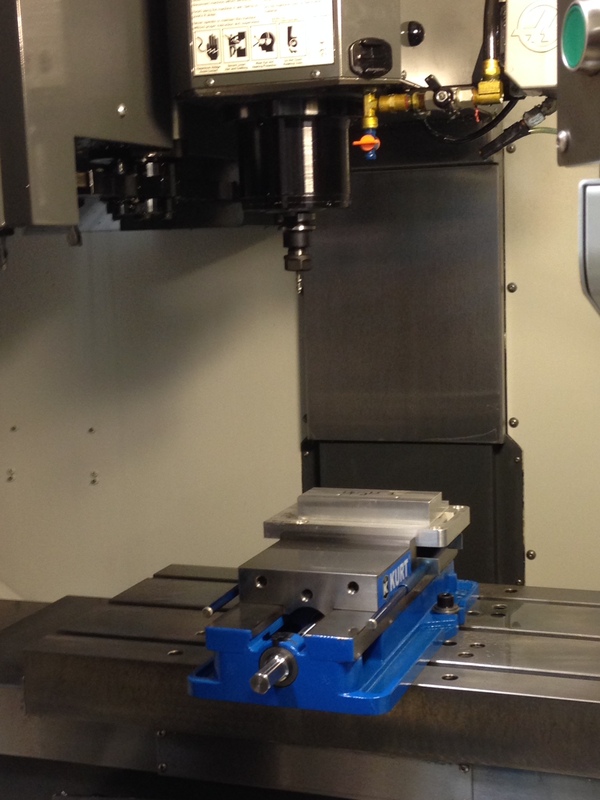 Basically, one writes a program using G-code and/or CAM (computer aided manufacturing) telling the Haas Machine what cuts to do and the machine does it for you. If you want to see how it works, click the link! Pretty cool, huh? These parts took a while to machine since we had most of the program on the mill set to G01 which means linear interpolation and not G00, which is rapid movement. I’m starting to learn a little more about G-coding and its use and I’ve gotten to learn quite a bit. I get amazed with how much some of the Formula team members know about cars and I will continue to learn from them. What material is that? 7075T6?